UNCASVILLE, CT (December 28, 2017) – Multi-platinum artist, actor and entertainment icon Snoop Dogg is scheduled to attend Sun Wine & Food Fest at Mohegan Sun this January. 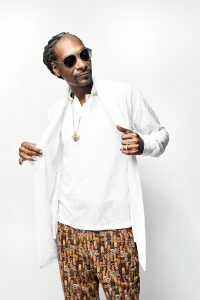 Snoop Dogg will perform in Avalon on Saturday, January 27th and join Sunday Brunch with Martha Stewart as a special guest the following day. Join Mohegan Sun for a world-class celebration of food and drink –The 14th annual Sun Wine & Food Fest, January 27th – 29th inside the Uncas Ballroom. Treat mom to a day she will never forget at Mohegan Sun! Dine divine at the special Mother’s Day Brunch inside the Uncas Ballroom or explore the numerous dining and shopping specials Mohegan Sun offers on Sunday, May 8th.